A delicious comedy poetry smorgasbord in support of Comic Relief, with FOUR hilarious headliners, an open mic, AND a limerick competition with amazing prizes…probably. 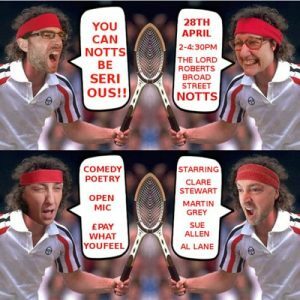 Part of the Nottingham Poetry Festival. Support from your favourite DIY poets.